I will do activities with my grandchild this week. I am not sure if this is a good idea or not because I tried it with the toddlers that I nanny for and the mom was livid a month later after finding the plastic pool I used to put the spaghetti in (even though I washed it out.) She must have been over exaggerating because she said they brought the pool in on a rainy day and filled it up with plastic balls and she sent me a furosious text saying that I left them with a mess and that everything became sticky including their dogs and that it wouldn’t come off and that I ruined their lives. Pretty much, I am a horrible nanny because I was trying to do something nice for their kids. So I wish if you knew how “messy” this project was, to please describe the consequences and details of what is left from the mess. It may not be a bad idea, it may be this mom who is a little over dramatic. Moms need to chill out. One thing I love about all these posts is that you have boys and you have tested them out on them. 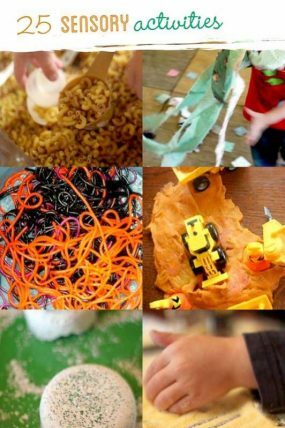 Many are messy and just perfect for a boys attention span. I can’t wait to try this out this week. We love doing this activity around here, too! I prefer it when it is still a little warm, um, but it’s not about me, hehehe! haha! Adding the warmth would be a fun sensory addition! I am 17 I baby sit for my three little siblings this was so fun and helpful they had a blast! thank you so much must try! I am thrilled to come across this website. I look forward to new adventures. 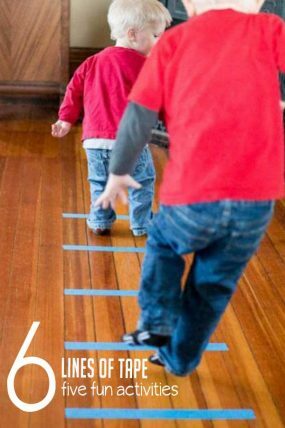 Since I work with toddlers I know I will be here to make use of the activities. Thank you so much for sharing. The mess is totally worth the fun! I am going to do that with my twins this week! Thanks for linking up! Sooooooooooo fun!! I am going to try this too. I found you at Living Life Intentionally Linky Party. That is really beautiful! And it really does look enticing and sort of creepy. Yet still beautiful! I adore this! And I'm pinning. It is worth the mess, isn't it? :) And that's so great that you played too. I probably couldn't have resisted playing with it either. So awesome. That is AWESOME!! It looks like SO much fun!! Thanks for sharing!! What great fun! I'm certain that both my 3yo and my 6yo would love this. And our chickens would gobble up the mess afterward! I'm sure my daughter will love this. We will play with this in her outdoor kitchen this week. I love that my daughter loves getting her hands dirty so this will be right up her alley. That looks like awesome fun!!!!! Beautiful pics! Oh, I love it!! I don't think I'm brave enough to do it with my pre-k class, but I'd definitely do it at home with my twin 3-year-olds and my 2-year-old. Ohhh that looks like so much fun. I think I could even do it with T (7months) as it's all edible and won't matter if she eats anything. OMG, we MUST do this! Awesome post! Now you have to paint with spaghetti like we did! I HAVE to do this with my daughter! Or even my older kids too! Thanks for sharing with us!!! Fantastic colours! I'm so glad to have inspired you ;-) I love the feeling of the oily spaghetti- wonderful!